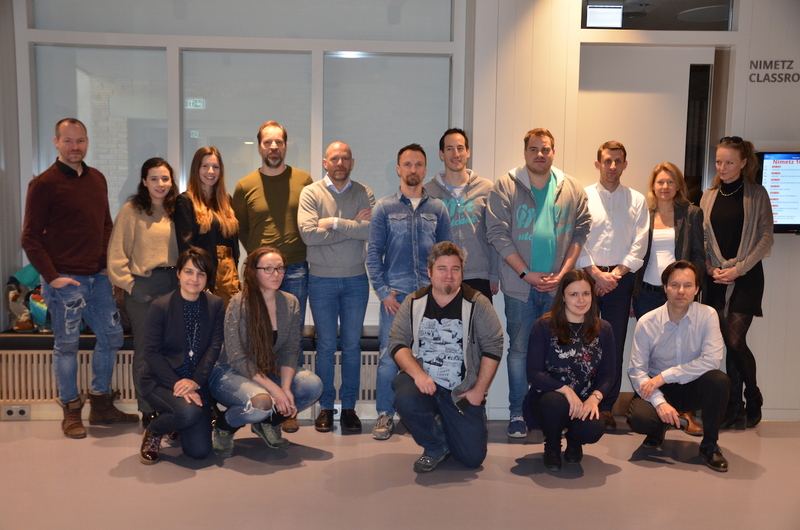 Eight new teams on board at iLab – iLab welcomes a new cohort of teams from February 2019, including Longevity Project, GHG Emission Index Project, The Tailor Network, Thanky/Miutcánk, Physi, Salarify, Grund and Tőkeportál. The teams started with a full day orientation, during which they learnt how to use the scheduled courses, workshops, networking events included in their iLab Calendar for maximum benefit. Part of the orientation day they visited the CEU Library and learnt about the business related databases available for them. Teams met with their mentors in one-on-one diagnostic sessions, which will help iLab management to plan the tailor-made mentorship program for the new teams. The CEU InnovationsLab is a flagship initiative of Central European University to create economic opportunity in Hungary and the Central and Eastern European region by nurturing a culture of entrepreneurship and linking academia and business. CEU InnovationsLab was voted Hungary's best incubator at the Central European Startup Awards, and the only university incubator nominated for Best Incubator/Accelerator in Central Europe. Launched in 2016, The CEU InnovationsLab is a business incubator-accelerator and much more. It is a CEU-wide learning-by-doing platform, enhancing students’ and alumni academic experience by offering real-life experience in student/alumni-initiated innovative new businesses and helping students to pursue career paths in business and sustainable social entrepreneurship. The CEU InnovationsLab also pursues entrepreneurship- and innovation-related research with the aim to enhance the University’s curriculum. CEU InnovationsLab is an environment where entrepreneurs learn from fellow entrepreneurs and mentors as they grow their businesses. Where CEU students, alumni, and faculty can be start-up founders. Where established firms can try out new ideas. Where we teach and learn entrepreneurship by practicing it. We invite you to join us, share what you know, what you do, and what you want to do. CEU Students: Looking for a Capstone Project or Internship? You can become a team member in one of our start-ups. Or take one of our courses. CEU Business School Students Tamas Nagy and Marci Olah and their vegan-friendly, lactose-, soy-, GMO-, and gluten-free supplement Absorice are featured in Forbes Hungary. Their business was built in the School's Innovations Lab, a business incubator. English translation of Hungarian article is attached below.